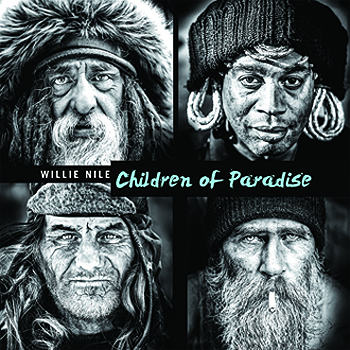 WILLIE NILE DELIVERS DYNAMIC NEW COLLECTION, CHILDREN OF PARADISE, DUE OUT JULY 27. Twelfth studio album from New York rocker was co-produced by Nile and Stewart Lerman. With 12 bracing new originals and an immediate sound that reflects the artist’s deep affinity for rock ’n’ roll’s gritty roots, Children of Paradise ranks with Nile’s most distinctive and resonant work. Co-produced by Nile and Grammy-winner and longtime collaborator Stewart Lerman (Elvis Costello/Patti Smith/Norah Jones), the album features such timely compositions as “Seeds of a Revolution,” “All Dressed Up and No Place to Go,” “Don’t,” "Earth Blues,” and “Gettin’ Ugly Out There.” The heartfelt “Lookin’ for Someone” was co-written with longtime friend Andrew Dorff, a seasoned songwriting pro who wrote country hits for the likes of Blake Shelton, Tim McGraw, Dierks Bentley and Kenny Chesney. Dorff died unexpectedly shortly after the song was written, and Nile has dedicated Children of Paradise to him. Along with Nile on acoustic and electric guitars and piano, the record features Nile’s longstanding live band: guitarist Matt Hogan, bassist Johnny Pisano, and drummer Jon Weber. The sessions also featured renowned guitarist/multi-instrumentalist Steuart Smith (Eagles/Rosanne Cash/Rodney Crowell), in-demand keyboardist Andy Burton (John Mayer/Rufus Wainwright/Ian Hunter) and backing vocals by renowned singer-songwriter James Maddock, Leslie Mendelson (Bob Weir), and Frankie Lee. 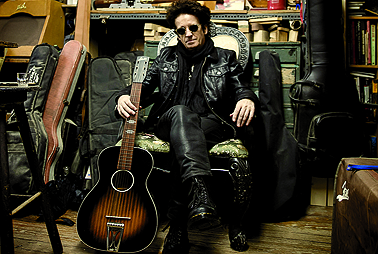 NEW YORK, N.Y. — In a consistently colorful musical career that spans nearly four decades, Willie Nile has established a reputation as a world-class rock ’n’ roller, and as a singular songwriter with deep roots in rock’s rich history. 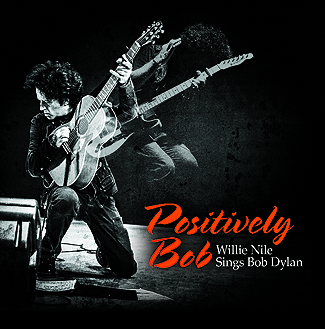 So it’s not surprising that he’d choose to tip his hat to one of his most enduring musical inspirations with his eleventh studio album, Positively Bob: Willie Nile Sings Bob Dylan, a heartfelt, personally charged set of Dylan covers that honors its subject while exemplifying the same qualities that have distinguished Nile’s work since the beginning. The album is set for June 23, 2017 release on River House Records. Nile’s deep affinity for Dylan’s work goes back to the 1960s, and Dylan’s influence has been a constant inspiration for as long as he’s been making music. But it was Nile’s participation in a 75th-birthday Dylan tribute show at New York’s City Winery in May 2016 that planted the seed for Positively Bob. “What struck me was how timely so many of the songs we played that night felt,” Nile explains. “These songs are still important and meaningful and still resonate in today’s world, and they’re a blast to play. I thought I could bring some good energy to them and thought it would be fun to rock them up a bit. It was a total labor of love. These songs are still great and need to be heard. To bring the songs to life in the studio, Nile tapped his longtime producer Stewart Lerman, as well as calling on noted artist James Maddock, who had accompanied him at the City Winery tribute, to add guitar and backing vocals on the sessions. Maddock suggested Spin Doctors member Aaron Comess, who became drummer on the project. With longtime Nile band members Matt Hogan and Johnny Pisano on board, the sessions took place at Comess’ Brooklyn studio, His House – Innsbruck Studio, where Nile and company recorded all of the album’s basic tracks and lead vocals in two days. The Buffalo, N.Y. native moved to Manhattan’s Greenwich Village and became a popular fixture in the Village’s folk clubs, while drawing equal inspiration from the emerging downtown punk scene. He won a deal with Arista Records, which released his first two albums, Willie Nile and Golden Down, to considerable acclaim in 1980 and 1981 respectively. Despite a series of legal disputes that caused him to walk away from the music business for nearly a decade, he resumed his recording career successfully in the ’90s, recording Places I Have Never Been for Columbia Records, before going the D.I.Y. route with such well-received indie albums as Beautiful Wreck of the World, Streets of New York, House of a Thousand Guitars, The Innocent Ones, American Ride, World War Willie and the low-key piano-based departure If I Was a River. While he continues to compose new material, inveterate road dog Nile is looking forward to taking his Dylan material on tour. “I’ve got a lot of songs written for another album, and I also have a live album in the works,” he says. “I always have a great time playing concerts, whether it’s in North America or Europe, and I’m really looking forward to playing the Dylan songs live. They’re a joy to play and so many in the audience will be familiar with the material, so it’ll be like bringing old friends to the party. NEW YORK, N.Y. — “There’s a lot going on in this world between the good, the bad and the in-between, and this album attempts to ride some of those horses,” Willie Nile says of his memorably-titled new album World War Willie, due out April 1, 2016 on River House Records, distributed by Virtual Label. The dozen-song set lives up to Nile’s reputation as a world-class songwriter, a singularly energetic performer and a true rock ’n’ roll believer. Currently in the fourth decade of a recording career that’s yielded a panoply of musical riches, the New York-bred artist is currently experiencing an exciting renaissance at a time when many of his contemporaries are winding down or giving up. “This past year has certainly been the busiest and most rewarding one yet, with so many satisfying shows and the completion of this new album,” he states. Indeed, 2015 saw Nile achieve a series of high-profile milestones. For instance, early in the year, Bruce Springsteen joined Willie and band to perform the Nile anthem “One Guitar” during a Light of Day benefit show in Asbury Park, N.J. A few months later, Nile was invited to sing with the Who and Springsteen at a Grammy/Musicares event honoring Pete Townshend in Manhattan’s Times Square. That summer, the Voice of America chose Nile’s composition “This Is Our Time” (from 2013’s American Ride) as the title and theme song of an event in Washington, D.C., in which Nobel Prize winner Malala Yousafzai spoke forcefully about empowering women. American Ride became one of Nile’s most acclaimed releases to date, topping numerous critics’ year-end best-of lists and being voted Best Rock Album of the Year by the Independent Music Awards. World War Willie lives up to that standard with some of the most resonant songwriting and performances of Nile’s career. He recorded the album with longtime producer Stewart Lerman (Antony and the Johnsons, Loudon Wainwright III, Boardwalk Empire) and Nile’s longstanding band — Matt Hogan on lead guitar, Johnny Pisano on bass and Alex Alexander on drums — with additional sterling guest guitar from Steuart Smith (Eagles, Rosanne Cash) on three tracks. 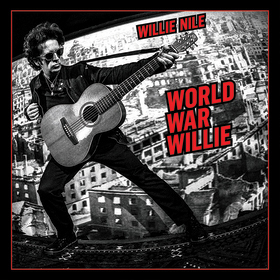 World War Willie’s title and cover motif reflect the turbulent state of the world as seen through Nile’s eyes, with a characteristic blend of sincerity and humor. World War Willie embodies the distinctive mix of urgency, introspection, idealism and self-effacing humor that’s long endeared Willie Nile to his admirers. The opening track, “Forever Wild,” pays tribute to the transformative power of rock ’n’ roll, while the anthemic “Let’s All Come Together” is a persuasive call for planetary unity, and “Trouble Down in Diamond Town” is a prime example of Nile’s flair for cinematic storytelling. “Runaway Girl” and “Beautiful You” demonstrate the artist’s knack for intimate balladry. And “World War Willie,” “Hell Yeah” and “Citibank Nile” demonstrate his knack for pointed, tongue-in-cheek humor. The playful “Grandpa Rocks,” meanwhile, is a wickedly humorous declaration of longterm devotion to Nile’s chosen profession. Elsewhere on World War Willie, “When Levon Sings” pays fond tribute to the musical and personal spirit of the Band’s Levon Helm, and Nile pays tribute to another departed icon with a bracing reading of Lou Reed’s Velvet Underground classic “Sweet Jane.” The latter track was inspired by a memorable meeting with Reed ten days prior to his death. Now, with World War Willie adding an exciting new chapter to his body of work, Willie Nile plans to continue doing what he’s always done: getting back out on the road and rocking. NEW YORK, N.Y. — Anyone who’s paid attention to his recent output knows that Willie Nile is currently in the midst of a creative renaissance that’s produced some of the most compelling music of his 35-year career. The tradition continues with his forthcoming American Ride, due out June 25, 2013 on Loud & Proud Records, where Nile becomes the first artist released under the label’s new deal with RED Distribution. American Ride features backup from Nile’s live band — guitarist Matt Hogan, bassist Johnny Pisano, drummer Alex Alexander, and Nile on guitar and piano — along with guest appearances by Eagles’ guitarist Steuart and New York singer-songwriters James Maddock and Leslie Mendelson. Nile also worked with some notable songwriting collaborators, including Eric Bazilian of The Hooters, who co-wrote “God Laughs”; The Alarm’s Mike Peters, who contributed to the title number; and Nile’s frequent writing partner Frankie Lee, who co-wrote four tracks. The producers were team of Grammy-winner Stewart Lerman and Nile himself, with additional production by Pisano and Alexander. Having launched his recording career at the height of the major-label era, and never comfortable with the baggage that comes along with being a major-label commodity, Nile has in recent years embraced the autonomy and freedom of his current indie status. To bring American Ride to fruition, he decided to take his case directly to the fans, financing the album’s recording, manufacturing and promotion via the Pledgemusic.com. Fans enthusiastically rallied to the cause, and Willie far exceeded his financial goal. In the midst of these fan supported efforts, a few labels took note of Willie’s success and expressed interest in American Ride. The decision was made to partner with Loud & Proud, thereby combining strengths both sides could bring to marketing the release. Born into a large Irish Catholic family in Buffalo, N.Y., Willie began writing songs in his early teens. After graduating from the University at Buffalo with a B.A. in philosophy, he moved to Manhattan’s Greenwich Village. During his first winter there, he was sidelined by pneumonia. While spending nearly a year recuperating, he concentrated on honing his songwriting skills. After his recovery, Nile became a popular fixture in the Village’s folk clubs, while drawing inspiration from the emerging downtown punk scene. His budding career received a major boost from a high-profile New York Times piece by legendary critic Robert Palmer. The local buzz stoked by that story led to a deal with Arista Records, for which Nile recorded Willie Nile and Golden Down, released in 1980 and 1981, respectively. Those albums won a sizable audience and generated reams of press raves. But his progress ground to a halt after legal disputes with his label caused him to walk away from the music business, beginning a recording hiatus that lasted for nearly a decade. In 1999, Nile’s Beautiful Wreck of the World marked the start of an exciting new chapter in his career, one in which he’s wholeheartedly embraced his new indie status to create and distribute his music free from corporate agendas. His new approach yielded substantial results, with the effort chosen as one of the year’s Top Ten Albums by critics at Billboard, The Village Voice and Stereo Review. During this period, Nile substantially stepped up his touring activities in Europe, where he’s since built a large and enthusiastic following. coming on April 30 — with or without a label! 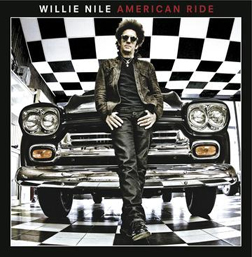 NEW YORK, N.Y. — When Willie Nile recently sought help in underwriting his new album American Ride — out on April 30, 2013 on his own River House Records — with a fundraising campaign on pledgemusic.com, his fans turned out in huge numbers, reaching his goal amount in a mere four days and ultimately exceeding it. Anyone who’s familiar with the New York-bred singer-songwriter’s large and impressive body of work will have no trouble understanding why he commands such devotion and loyalty from his fan base. And anyone who’s paid attention to his recent output knows that Nile is currently in the midst of a creative renaissance that’s produced some of the most compelling music he’s ever made. American Ride features backup from Nile’s live band — guitarist Matt Hogan, bassist Johnny Pisano, drummer Alex Alexander, and Nile on guitar and piano — along with guest appearances by Eagles/Rosanne Cash guitarist Steuart Smith and New York singer-songwriters James Maddock and Leslie Mendelson. Nile also worked with some notable songwriting collaborators, including Eric Bazilian of The Hooters, who co-wrote “God Laughs”; The Alarm’s Mike Peters, who contributed to the title number; and Nile’s frequent writing partner Frankie Lee, who co-wrote four tracks. The release was produced by the team of Grammy-winner Stewart Lerman (who has worked with Nile since the ’90s), and Nile himself. Additional production by Pisano and Alexander. Having launched his recording career at the height of the major-label era, and never comfortable with the baggage that comes along with being a major-label commodity, Nile has in recent years embraced the autonomy and freedom of his current indie status. To bring American Ride to fruition, he decided to take his case directly to the fans, financing the album’s recording, manufacturing and promotion via the aforementioned pledgemusic.com campaign. The local buzz stoked by the Times story led to a deal with Arista Records, for which Nile recorded Willie Nile and Golden Down, released in 1980 and 1981, respectively. Those albums won a sizable audience and generated reams of press raves, with one critic likening Nile to a “one-man Clash,” and another calling his debut effort “one of the most thrilling post-Byrds folk-rock albums of all time.” But his progress ground to a halt after legal disputes with his label caused Nile to walk away from the music business, beginning a recording hiatus that lasted for nearly a decade. Although he continued to write new material, Nile maintained a discreet distance from the spotlight until 1991, when he reemerged with a new deal with Columbia Records and a new album, Places I Have Never Been, which restored the artist to prominence with fans and critics. The following year, he went the independent route with the four-song EP Hard Times in America. Willie Nile — Archive Alive, a vintage document of a 1980 performance in New York’s Central Park, was released in 1997. In 1998, Nile lent his unmistakable voice to the all-star concept album Largo. In 1999, Nile released Beautiful Wreck of the World, which marked the start of an exciting new chapter in his career, one in which he’s wholeheartedly embraced his new indie status to create and distribute his music free from corporate agendas. His new approach yielded substantial results, with Beautiful Wreck of the World chosen as one of the year’s Top Ten Albums by critics at Billboard, The Village Voice and Stereo Review. During this period, Nile substantially stepped up his touring activities in Europe, where he’s since built a large and enthusiastic following. The well-received Streets of New York, from 2006, ushered in the most productive and prolific period of Nile’s musical life. The CD Live From the Turning Point and the DVD Live From the Streets of New York followed in 2007 and 2008, respectively, as did another widely celebrated new studio album, House of a Thousand Guitars, and 2011’s The Innocent Ones, which won some of the most enthusiastic notices Nile’s ever received. TO FINALLY SEE THE LIGHT OF DAY IN THE U.S. The album, widely acclaimed in Europe, was co-produced by Nile, collaborator Frankie Lee, noted producer Stewart Lerman and Eagles/Rosanne Cash guitarist Steuart Smith. 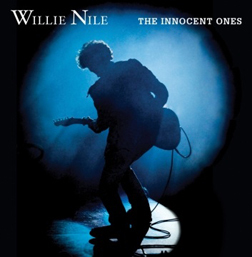 NEW YORK, N.Y. — “This is as good a record as I’ve ever made,” Willie Nile says of his new release The Innocent Ones. That’s saying a lot, considering the amount of indispensable music that the tenacious New Yorker has produced over his long and eventful career. The CD, which long eluded the American market except as an import and the odd merch table, has a U.S. brick-and-mortar street date of November 22, 2011. In that time, Nile has survived life as a Next Big Thing, walked away from the major-label world twice, and reinvented himself as a scrappy DIY artist. Along the way, he’s built a deeply impressive body of recordings, earned the loyalty of a devoted worldwide fan base, and amassed an extensive backlog of effusive critical acclaim. 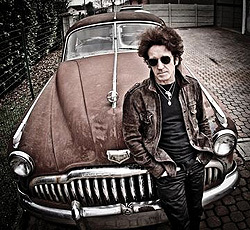 Willie Nile is both a songwriter’s songwriter and an impassioned performer whose stirring, personally charged rock ’n’ roll marks him as a true believer. His compositions are as impassioned as they are infectious, and he performs them with a fervor that matches their melodic craft and lyrical insight. Those raves are borne out on such new tunes as “Singin’ Bell,” a bracing anthem that the artist describes as an effort to filter the populist sentiment of Pete Seeger through the in-your-face sensibility of the Ramones, and the album’s moving title track, on which Nile draws upon some harsh truths to create an uplifting rock anthem. Another album track that holds particular significance for Nile is “One Guitar,” a moving ode to music’s ability to heal and inspire. “It’s about what one guitar and one voice can do to help change the world,” the artist asserts. The response that the song has already received from audiences, critics and fellow artists has inspired Nile to create the One Guitar Campaign (oneguitar.org), a collaborative charitable initiative. The One Guitar Campaign encourages other artists to record their own rendition of the song, with the various versions being sold as downloads on iTunes, and the net profits donated to a variety of worthy charitable causes. His passionate belief in the power of music has been a cornerstone of Nile’s life since his childhood. Born into a large Irish Catholic family in Buffalo, NY, he began playing piano at the age of eight, and within a few years had begun writing his own songs. After graduating from the University at Buffalo with a B.A. in Philosophy, he moved to Greenwich Village. He was initially sidelined in New York by bouts with pneumonia and mono, which put him out of commission for a couple years. While recuperating, he concentrated on honing his songwriting skills. The Times piece led to a record deal with Arista Records, for which Nile recorded a pair of albums, Willie Nile and Golden Down, released in 1980 and 1981, respectively. Those albums won a sizable audience and established Nile as a major talent, with one critic calling his debut effort “one of the most thrilling post-Byrds folk-rock albums of all time.” But his career momentum took a dive when legal disputes with his label caused him to walk away from the music business, beginning a recording hiatus that lasted nearly a decade. Although he continued to write, Nile maintained his distance from the spotlight until 1991, when he reemerged with a new deal with Columbia Records and a new album, Places I Have Never Been. That album, which featured guest appearances by Roger McGuinn, Richard Thompson and Loudon Wainwright III, restored Nile to prominence with fans and critics. The following year, he went the independent route with the four-song EP Hard Times in America. 1997 saw the release of Willie Nile — Archive Alive, which documented a 1980 performance in New York’s Central Park. In 1998, Nile lent his unmistakable voice to the all-star concept album Largo, alongside the likes of Levon Helm, Carole King, Cyndi Lauper and Taj Mahal. In 1999, Nile released Beautiful Wreck of the World, which launched an exciting new chapter in his career, one in which he’s embraced independent status to create and distribute his music on his own terms. His new approach yielded substantial results, with the disc chosen as one of the year’s Top Ten Albums by critics at Billboard, The Village Voice and Stereo Review. By that point, Nile had substantially stepped up his touring activities in Europe, where he’s built a large and enthusiastic following in several countries.